Mezzo-soprano Lainie Diamond’s vibrant tone and expressive stage presence brings to life a wide variety of orchestral, oratorio, opera, contemporary music and music theatre repertoire. After graduating from Loyola University New Orleans, Ms. Diamond made her Lincoln Center debut as Bellangère in Ariane et Barbe-bleue with The American Symphony Orchestra under Leon Botstein. In December 2005, Ms. Diamond was honored to sing as Mezzo-soprano soloist in Handel’s Messiah with the Symphony Chorus of New Orleans and Louisiana Philharmonic Orchestra, the first classical music performance in New Orleans after hurricane Katrina. Ms. Diamond's recent performances include Mozart’s Requiem and Vesperae solennes de Confessore with the Choral Society of Pensacola; John Rutter’s Feel the Spirit with the Connecticut Master Chorale; Elijah with Oratorio Society of Queens; Bach Magnificat with the Middletown City Chorale; and appearances with the New York Cantata Singers and at New York City’s St. Patrick’s Cathedral. Her voice is featured singing Gounod's O ma lyre immortelle in the upcoming film "The Legend of Johnson Roebling." 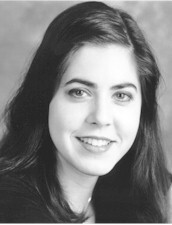 In a review of her performance of John Rutter’s Feel the Spirit with the Connecticut Master Chorale, the Danbury News-Times praised Ms. Diamond for the “warm and poignant quality of the singing of these emotional words.” Her voice was prominently featured in composer Chris Becker’s score for choreographer Rachel Cohen’s dance theater work If the Shoe Fits, which was also included in John Rockwell’s ‘NY Times list of the top 10 dance performances of '05’. Ms. Diamond’s operatic roles include Katchen in Werther with the New Orleans Opera, and Hansel in Hansel and Gretel with The MetroPelican Opera of The New Orleans Opera. Praising her performance as Hansel, The Gretna Picayune wrote “the performance…had the audience enthralled”. Music theatre roles include Flora in the world premiere of Pretty Baby under the director/designer John Pascoe. Off-Broadway, she sang the role of Shifrah in Moses, My Love. Her leading music theatre roles include Julie in Show Boat; Lucy Brown in Threepenny Opera, and The Witch in Into The Woods for which she garnered a New Orleans ‘Theatre Star’ award and a Storer Boone Theatre Award best-supporting actress nomination. Her CD “Hail, Divine!”- a program of sacred arias recorded on the feast day of St. Thomas Aquinas, is available on CDbaby.com at www.cdbaby.com/cd/lainied. In the world of operetta he has performed in Iolanthe, Princess Ida, and Utopia, Limited with New York Gilbert & Sullivan Players, and a duet cabaret show, Oh Love, True Love! or The Lass That Lov'd a Tenor, with his wife, soprano Cynthia Reynolds. His concert appearances include the title role in Händel's Judas Maccabeus, and the tenor solos in Beethoven's Missa Solemnis and Dvorak's Stabat Mater, as well as Händel's Messiah and many of Bach's cantatas. For the 2003-04 season he was artist-in-residence with the Long Island Choral Society, singing as soloist on all of their concerts. Mr. Slade is very much at home on the recital platform — not only does he sing a wide range of classical art songs, but he specializes in the parlor repertory of the Victorian era. 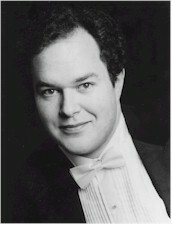 In June of 2000 he saved the show at the Caramoor festival by learning and performing Schumann's Spanisches Liebeslieder on three hours' notice, substituting for an indisposed colleague. He maintains a private voice studio, teaches at Manhattanville College in Purchase, NY, and specializes in imparting the almost forgotten arts of florid singing.